Marsh Billings Rockefeller National Historical Park is the only park dedicated to the history on conservation and the evolution of land stewardship in America. 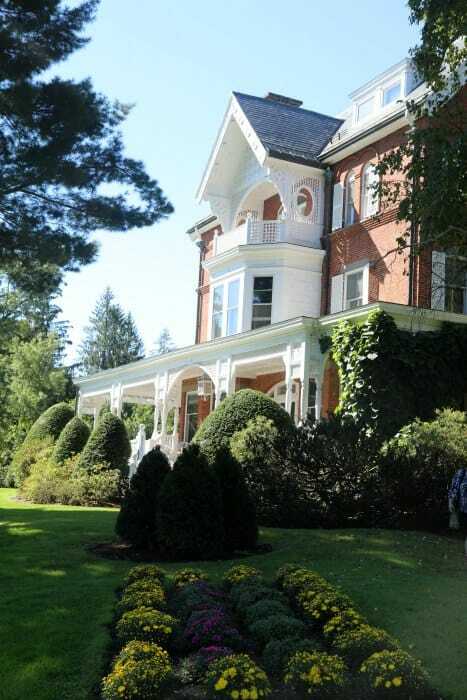 The park is located near Woodstock, Vermont and has quite a few notable owners. George Perkins Marsh who was a diplomat and early advocate for conservation was born at the estate in 1801. Then came Frederik Billings who was a conservationist and pioneer in reforestation and farm management. 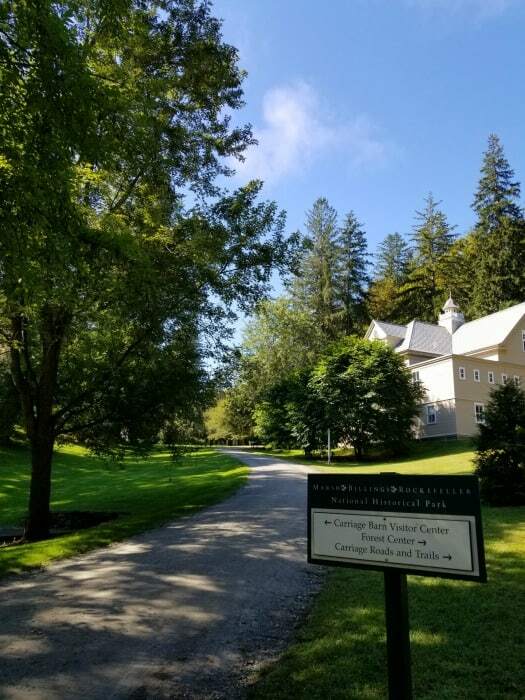 In the 20th century the property was purchased by Laurance and Mary Rockefeller and donated to the parks service to become the Marsh Billings Rockefeller National Historical Park. 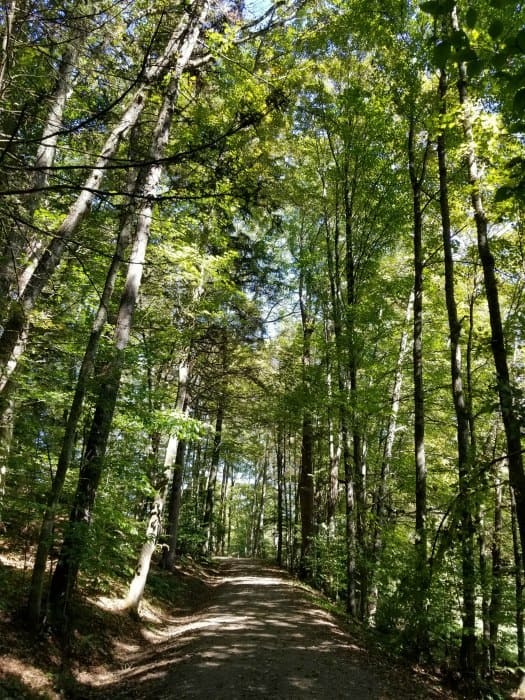 While visiting the park you can enjoy the 20 miles of carriage roads and trails found on Mount Tom. These trails carry you through one of the oldest sustainable managed forests in America. 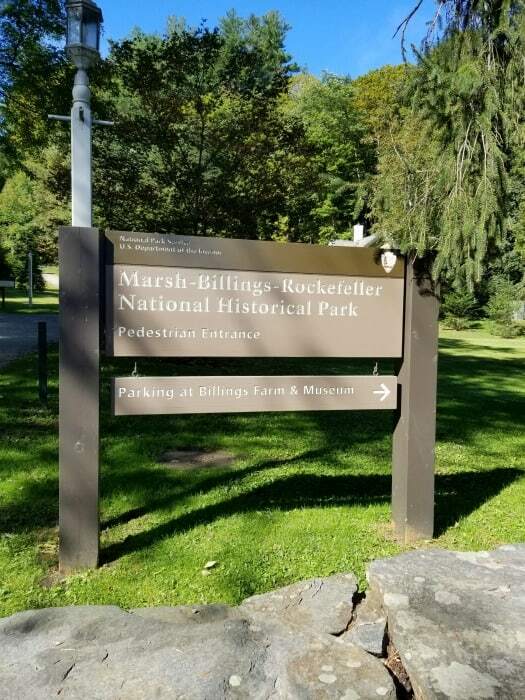 We were not sure what to expect during our visit to Marsh Billings Rockefeller National Historical Park in Woodstock, New Hampshire. I have to tell you that we were so impressed with this park. 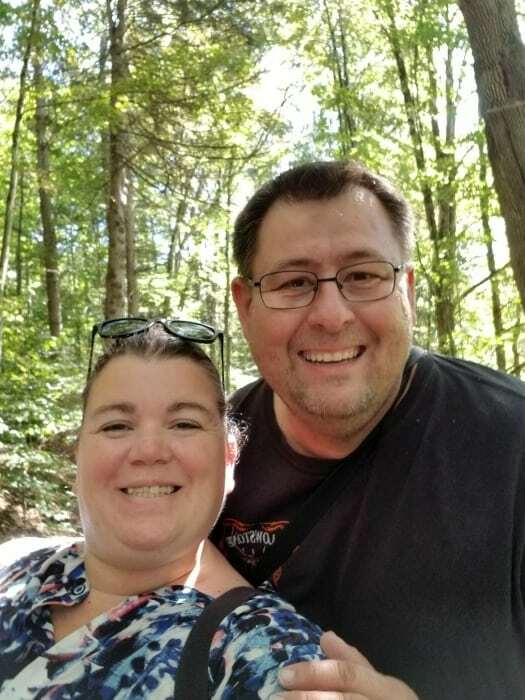 I wish we would have had a few days to spend exploring the trails and wandering in the woods. This is a National Park site we could easily plan a return visit to and spend time exploring. Make sure and give yourself time to explore this beautiful park. Open daily from 10:00 am to 5:00 pm, Memorial Day weekend (late May) to October 31. 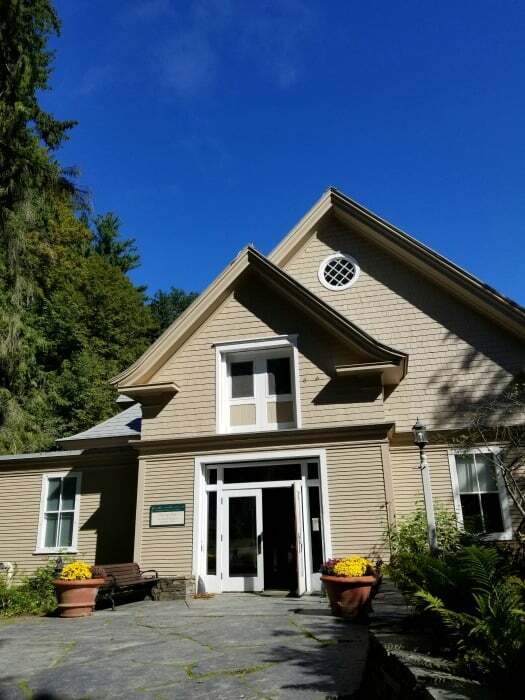 The visitor center is the perfect place to start your visit. 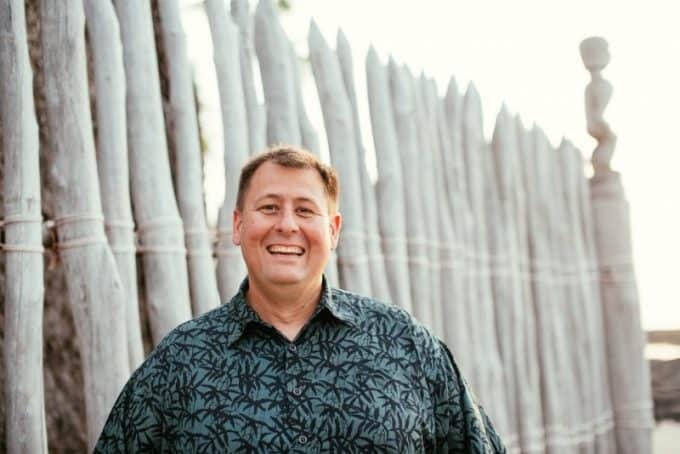 It is filled with a ton of great information on the conservation that is done at the park along with the parks sustainable practices for managing the trees on the property. There is a 30 minute park video that is well worth watching. It does an amazing job of explaining more about the history of the Marsh-Billings-Rockefeller NHP. I was a bit confused leading into our visit and didn’t have a clear picture of the park or the conservation plan before seeing this video. 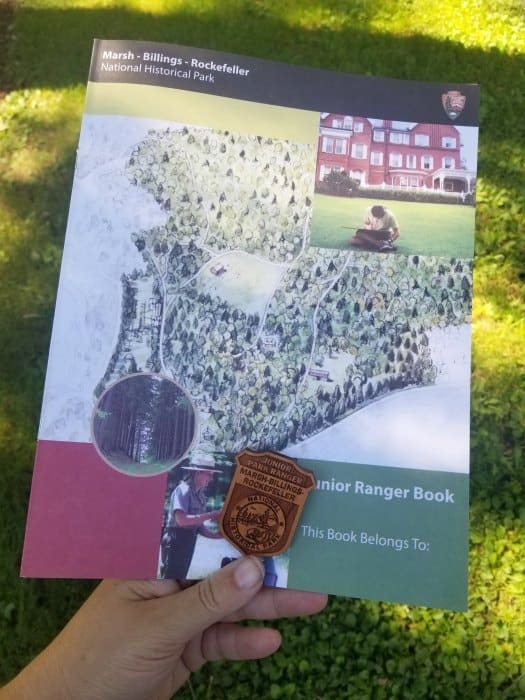 You can print a copy of the Marsh Billings Rockefeller Junior Ranger program at home to start learning about this beautiful park before your visit. 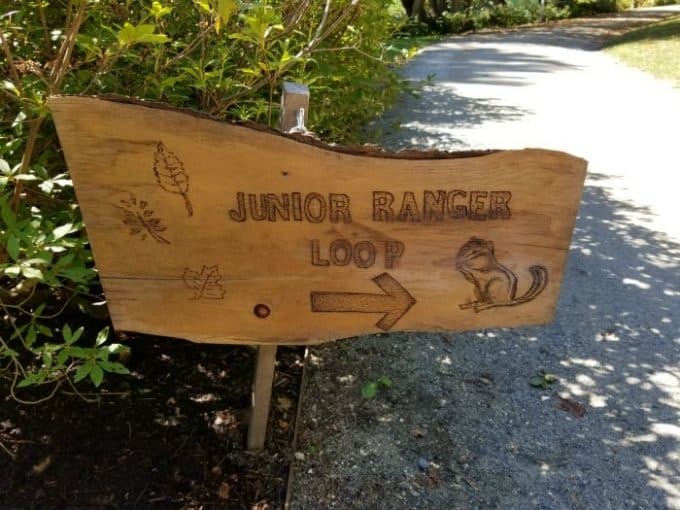 The Junior Ranger program includes taking a walk on the Junior Ranger Loop. The program has a guide to show you what to check out during your walk. This was our favorite part of our visit. The walk is really peaceful and amazing way to see more of the park. There is a bit of a hill at the beginning of the walk but then it is pretty easy after that. I would definitely wear comfortable shoes and be prepared for sun and mosquitoes. The park film is truly fantastic! It is 30 minutes long and well worth planning time to watch it. The ranger at the front desk was able to start it for us. In 1967, the house was designated as a National Historic Landmark. Make advance reservations by calling 802-457-3368 ext 222. Reservations can be made in person at either the Billings Farm & Museum or at the National Park Carriage Barn Visitor Center. There are multiple hiking trails that are well worth exploring. We had a really peaceful walk through the park that was a highlight of our visit. Dogs are allowed on the trails as long as they are on a leash. There are black bears in the area so make sure you are aware of your surroundings. WIth hundreds of acres of woods and garden areas the Marsh Billings Rockefeller NHP is a great place to enjoy birdwatching. The park has a wonderful bird list you can download and have with you. We were honestly really confused trying to find the Marsh Billings Rockefeller NHP! The parking lot for the park is the Billings Farm & Museum parking lot. Once you park you can check out the farm visitor center for info on that site or walk across the street to reach the National Park Site. The visitor center is across the street from the main parking area. There is a hill you will need to walk up to reach the visitor center. If you need ADA parking make sure and stop into the farm visitor center to let them know you need an ADA parking spot. They will call over to the visitor center and let them know you are driving over so they can show you where the parking spots are. 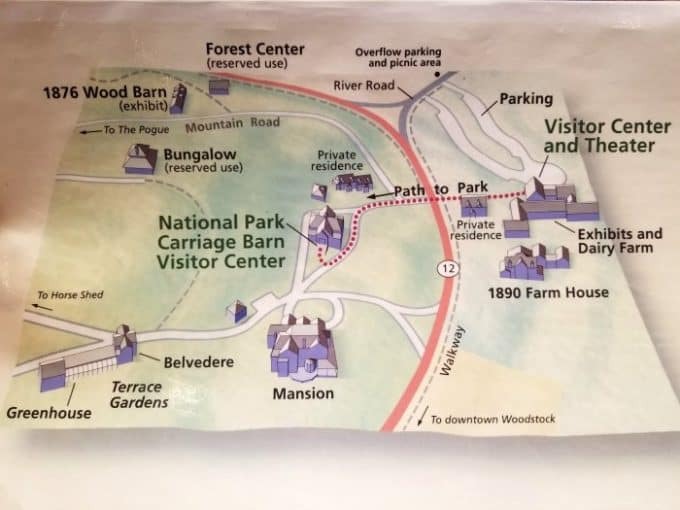 Carriage Barn Visitor Center is open daily from 10:00 am to 5:00 pm, Memorial Day weekend (late May) to October 31. Billings Farm & Museum is open daily from 10:00 am to 5:00 pm, April 30th through October 31st. Closed on Thanksgiving, Christmas, and New Year’s Days. There is a fee to visit the Billings Farm & Museum which is not a National Park site.